Arc and I ended up revisiting a little bangers and mash, but for this movie night extravaganza, we used sausage as the theme. Because we were watching the Super Mario Bros movie, we needed mushrooms in some form or another. 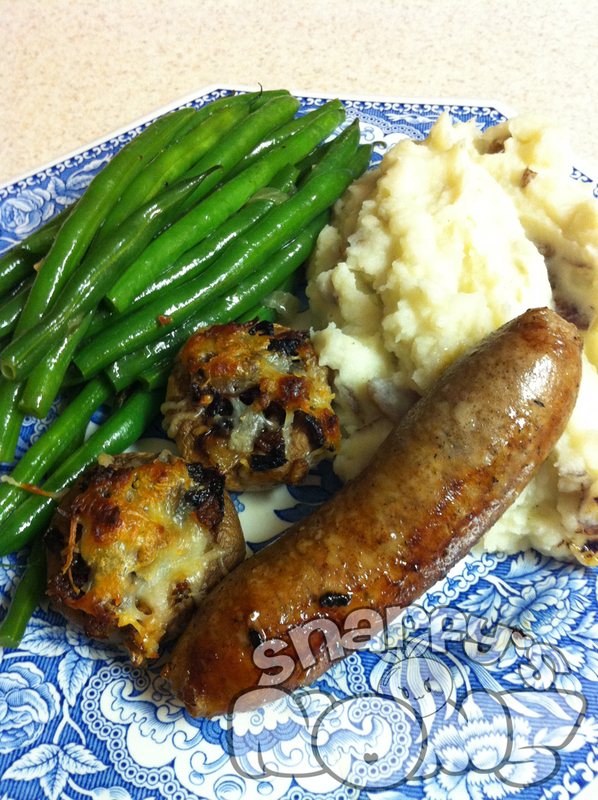 These criminis are stuffed with a mix of regular pork sausage, onions, and cheese. Cook up your sausage and onions and drain them before added them to cleaned and stemmed crimini or button mushroom caps. Then top those off with your favorite shredded cheese before cooking them up in a 350 deg F oven. They’re so easy to pop in your mouth and eat that it’s almost ridiculous how fast they’ll disappear.